We have just announced our next version of FileCloud (version 17.3). The new update includes hundreds of new features, improvements, and bug fixes. The release notes page contains the complete list of features and bug-fixes in this release. This update is available for all licensed FileCloud customers. Please refer to our upgrade notes for the steps to upgrade. Modernize Infrastructure: Synchronize your on-premise file servers to the cloud without losing the folder hierarchy and NTFS permissions. Enable Hybrid Cloud: Provide traditional LAN access when on-premise and switch to cloud access when outside. Migrate File Server to the Cloud: Migrate Windows file servers to FileCloud with no major migration process. Administrators can now search across all of their users’ content from a single access point. FileCloud’s search not only searches file and folder names, but also content within the files. In a world where regulations are becoming stringent, FileCloud’s Global search will help you meet regulations such as FINRA and GDPR. Administrators can monitor the health of all the instances of FileCloud mobile apps, Sync and Drive desktop apps across all your users. Administrators can push configuration, download logs and execute commands on FileCloud apps remotely, simplifying the management of large deployments, directly from FileCloud’s Admin Portal. Users can share files with a specific user or set password while sharing from Outlook Add-on, FileCloud Sync or FileCloud Drive. Currently, many settings are set globally or overridden on a per-user basis, which is hard to manage across hundreds of users. To simplify the user policy management, we are introducing the concept of ‘policies’ – a collection of rules and settings that can be applied to a specific user or sets of users. FileCloud can automatically add customizable watermarks to all document previews. Whenever user previews any document, they will see the watermark text embedded in the preview. We are announcing a set of features in this FileCloud update (17.3) to help you meet European General Data Protection Regulation (GDPR). GDPR is one of the strictest regulations passed to protect consumer privacy. It impacts any business that handles EU residents’ data and the data protection rules become enforceable from May 2018. Additional resource: FileCloud documentation has more details on the GDPR related features. In today’s mobile-first world, employees and customers want to access, edit and collaborate on files from any device. Users can’t remotely co-author or edit Microsoft Office files that are behind a firewall, unless the organization moves the files to a cloud storage service such as Dropbox, OneDrive. FileCloud has joined Microsoft Cloud Storage Partner program and integrates with Microsoft Office 365 to offer browser-based editing and collaboration. With this integration, you can remotely coauthor and collaborate on Office documents even if they are stored behind a firewall. Click here for the release notes, which contains the complete list of features and fixes. Austin-based CodeLathe, the maker of FileCloud — a leading enterprise file sharing, sync and backup software — has received an honorable mention in Gartner’s July 2017 Magic Quadrant for Content Collaboration Platforms. FileCloud offers a rich set of features that are well beyond the basic file sharing and synchronization features. FileCloud enables content-driven collaboration among teams, business workflow automation, brand office synchronization, full-text search, and many hybrid scenarios that involve a mix of on-premises and cloud infrastructure. 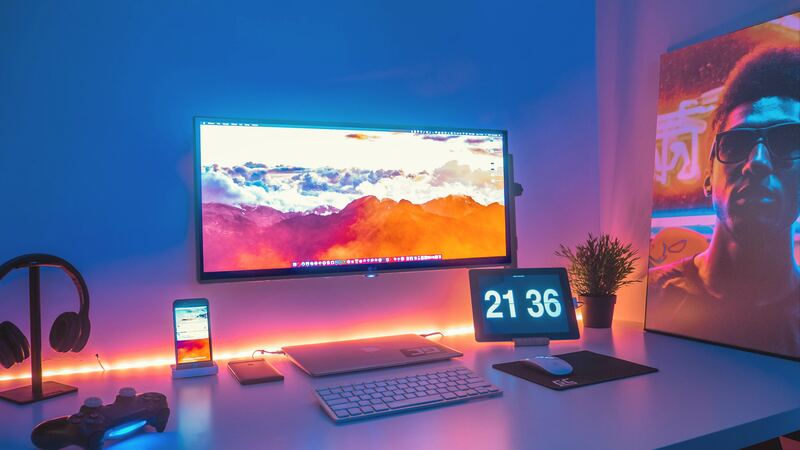 FileCloud differentiates itself from other popular enterprise file sharing and sync products by offering complete control over data, unparalleled branding options, variety of deployment models, and easy integration with existing corporate repositories and IT systems. FileCloud can be deployed as on-premises servers, private clouds and public clouds from AWS or Azure marketplaces. These deployment options help organizations select a right cloud model for them and adopt cloud at a pace that is right for them. FileCloud is used by Fortune 500 companies; Global 2000 firms; world’s leading law firms; city, state and federal organizations; world-class universities; and renowned science and research organizations. FileCloud is deployed in over 90 countries and has more than 100 VARs and Managed Service Providers across the world. 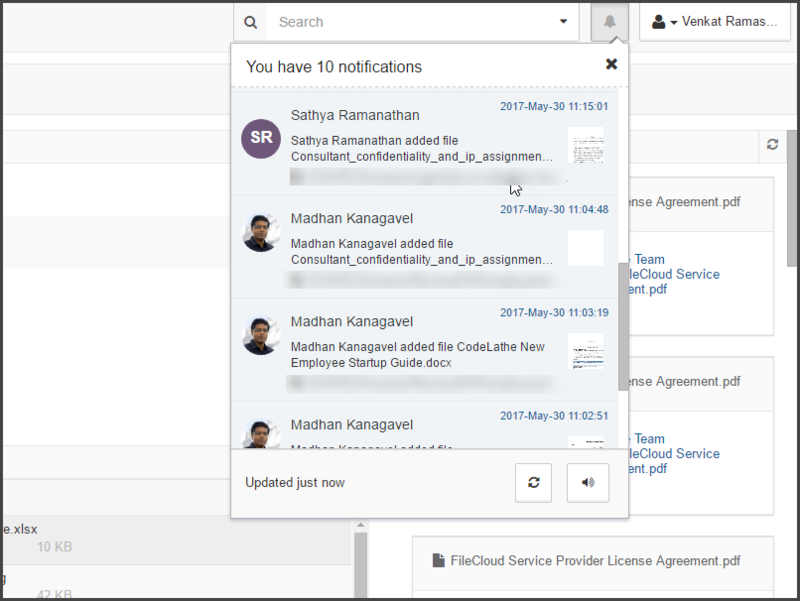 We are super thrilled to announce the launch of FileCloud 15. It is a monumental release with big bang feature sets. With FileCloud 15, we have completely reimagined every aspect of the document sharing process. We have fine-tuned the user experience and functional architecture in every step of our design process to make organization wide file sharing simple, intuitive, and secure. 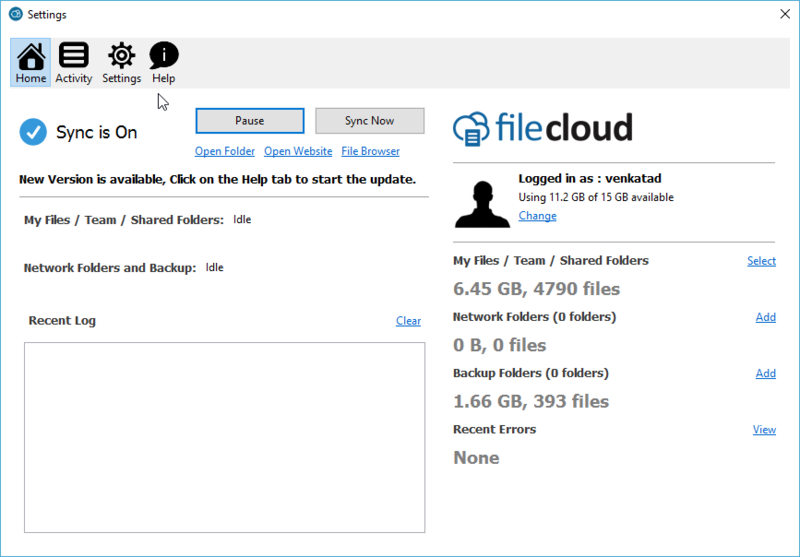 Contrary to public perception that a system can’t have both a strong data security and an uncomplicated design, FileCloud 15 has introduced team folders, which offer simple file sharing yet with ironclad security. Our Team Folder implementation is the best in the industry for organization wide file sharing. You don’t need to take our word for it. Please register for a free trial and check it out for yourself. FileCloud 15 also boasts a powerful enterprise search, Facebook style notifications, completely redesigned user dashboard, @mention support, new outlook and sync app, mass deployment support, share analytics, and php7 support. Here is the summary of major capabilities offered by FileCloud 15. A collaborative team environment and powerful knowledge sharing tools are important for building effective teams in an organization. FileCloud’s Team Folders make knowledge sharing seamless by offering collaborative folders that organizations can use to share and manage documents among team members easily. Team Folders can be shared with everyone in the organization or with a sub set of people grouped by function or any other criteria (Ex: Marketing, Finance, Head office). Team Folders can automatically sync content across team members’ devices. Further, Team folders can be shared beyond organization boundaries and be extended to vendors, partners, and customers. Many of our competitors in the EFSS market use waterfall permissions model in their Team Folder Implementation i.e. Team members have the same permission level in sub folders as they do in the top level folders. This kind of rigid sharing model doesn’t fit the majority of enterprise’s information sharing needs and increases data leak risks. On the contrary, FileCloud’s Team Folder system offers a granular sharing model for folders and subfolders i.e. Administrators can limit team member access to any sub folder independent of top level folder permissions. Centralized Content Management: Instead of creating multiple individual file shares among users, Team Folders facilitate organizing files and folders in a centralized place. Easy Provisioning of Users, Files, and Folders: Provision new users quickly with access to specific files and folders through team folders. Similarly, grant immediate access to new files for all relevant users by uploading the file to the right team folder. Granular Control of Folders: Team Folders and their sub folders can be given granular permissions for users with Read, Write, Share and Sync access. Manage Selective Sync: Admins can select specific team folders and enable or disable sync permissions on an easy to use user interface. You can read more about How to use FileCloud Team folders for organization wide file sharing in our admin documentation. The ultimate goal of any enterprise information management system is to make it easy for users to find their content. We have delivered that goal with our new powerful enterprise file search. When enabled, FileCloud Search ingests and indexes every piece of content irrespective of where the content is stored (Managed Storage, Network Shares, and S3). With FileCloud 15, users don’t need to navigate the directories to find the content. They can just simply type what they are looking for and FileCloud Search will find the relevant documents in a matter of seconds. FileCloud 15’s completely redesigned user dashboard makes sure all the relevant files are just one single click away for users. Using the new dashboard, users can create shortcuts for frequently used folders. 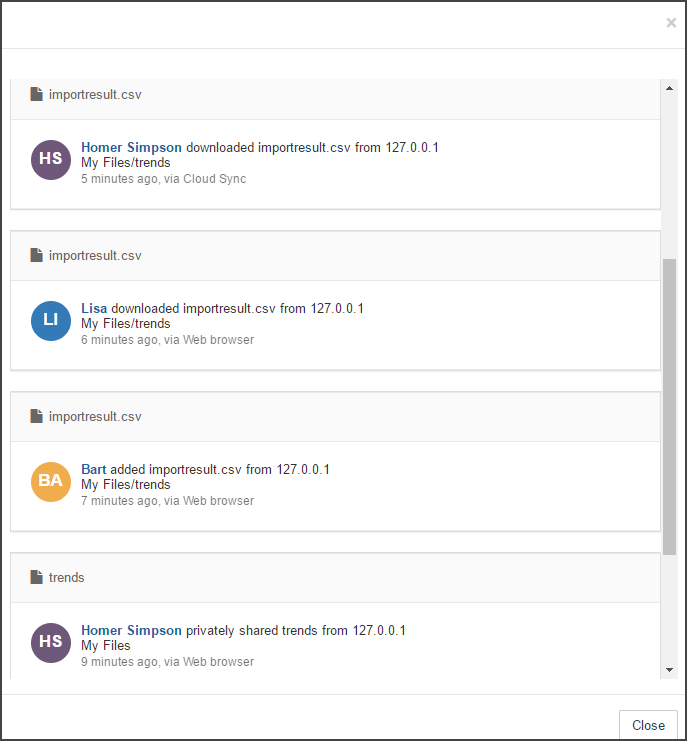 The dashboard also presents the recently accessed files and the recent activities for quick access. Facebook style notification is a powerful UI design pattern to present contextual information. This UI design pattern helps end users to grasp the changes happening in their network quickly. With FileCloud 15, we have implemented a similar notifications design that allows users to quickly glance and grasp what is happening in their files, shares, and the FileCloud system. FileCloud 15 brings powerful share analytics and insights for end users. Now users can see their popular files, last access time, and number of views and downloads at one place. This new functionality is great for sales organizations, startups, marketing, and legal departments. Further, share activity gives detailed information on Who did What action, When, How, and from Where (location). FileCloud Outlook Add-in is widely used by our customers. With FileCloud 15, we have further improved the capabilities of FileCloud Outlook Add-in. Now the Add-in offers the same advanced sharing options as our web interface. Users will now be able to decide between public and private shares, set password, share name, share permissions, expiry date, and much more. For more details, please check the FileCloud Add-in information presented in our admin documentation. FileCloud 15 brings a new browser upload widget that shows the upload progress and remaining files in queue. Ability to look at progress is great when uploading multiple files or a large file. See below new upload widget in action. One of the unique selling propositions (USP) of FileCloud is that it enables access to existing file shares while enforcing the NTFS permissions in place. Many of our enterprise customers utilize this functionality and share files directly from their existing file shares. With FileCloud 15, we are speeding up the access performance 3-5 times especially in large file shares with thousands to 100K files. Please go to Settings –>Network Shares and “Enable Caching for NTFS Permissions”. Memcache is a prerequisite to enable this functionality. With FileCloud 15, we have refreshed the UI of the FileCloud sync client, and made several product improvements and bug fixes. The new sync client enables users to navigate different configuration options, activity logs, and settings screen easily. Mass deployment support is one of the popular requests from our bigger customers. FileCloud 15’s mass deployment support helps enterprises in rolling out FileCloud desktop clients across enterprises easily. With this current release, Administrators can set default configuration values (Server URL, user profile, http proxy info, and etc.) for FileCloud desktop clients across the enterprise. For more details on mass deployment support and default config values please refer to our administrator guide. In recent times, many customers are moving from Box and Egnyte to FileCloud. To make these file migration tasks easier, FileCloud 15 now supports importing files (Pre-seeding) to user accounts and team folders. This will also help onboarding users easily in large enterprise deployments where user home folders and file servers are used for file sharing. To find more information on how to pre-seed files please refer to our admin documentation here. FileCloud 15 brings support for php 7.0 on Ubuntu 16.04 to deliver better performance and increased security. It also requires a new MongoDB driver to function. NOTE 1: UPGRADING FROM AN OLDER FILECLOUD VERSION– Unlike our previous updates, FileCloud 15.0 is not available through the Admin portal and upgrading requires some additional steps. Please follow the upgrade instructions provided in this link. We are also releasing a new windows installer for FileCloud Server. 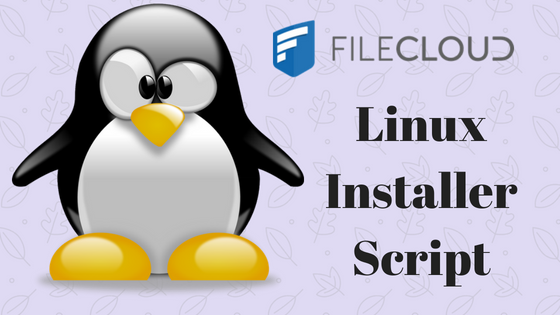 The installer now includes installation of content search, document preview and FileCloud NTFS helper modules. With the new installer, it will take less than 10 minutes to completely install FileCloud server on Windows servers. Apart from the major features listed above, FileCloud 15 offers tons of significant product improvements, bug fixes, and enhancements. Please find the complete FileCloud 15 release notes here. FileCloud 15 is a big step in our vision to build the world’s most powerful, unified file services platform that organizes enterprise data, enhances collaboration and productivity while providing iron clad data protection. We are happy with what we have delivered. We hope you will like it too!